Tray Materials P&L - Lab Depot ltd. This stable non-stick multi-purpose tray material is characterized by its optimum setting phase. 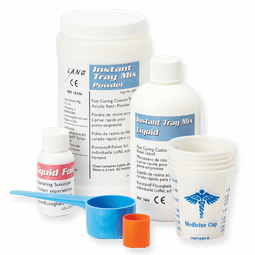 It can be used with all dental impression materials applied with adhesives. 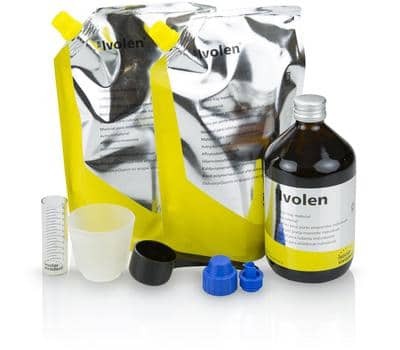 Easy to use: can be molded up to the time it sets with no springback or subsequent chemical or dimensional change. Adequate working time: working time is six minutes, with a complete set in less than eight minutes. Economical to use: combines excellent quality custom tray acrylic that is easy to use with a more competitive price than other brands. An exceptional self-cure acrylic for individual tray & base plate. 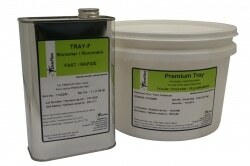 Premium Tray resin can also be ordered with regular liquid (Tray-R). Megatray is a light curing tray material for the fabrication of individual custom trays with extremely high dimensional stability. The composite resin is presented in form of contoured wafers in the colors pink, blue and transparent (natural). The simple processing of Megatray with a long mode- ling- and processing time makes the efficient producti- on of individual custom trays in the laboratory and dental cabinet possible. The universal form and the consistent thickness of 2.2 mm of Megatray allows the production of upper and lower trays. The grip can be made from the rest of the material. After modulation Megatray must be cured in a light curing unit, e. a. Megalight, for app. 5 minutes. The consistently high quality of the material guarantees a minor polymeriza- tion shrinkage (below 2 vol.%) and excellent form sta- bility. 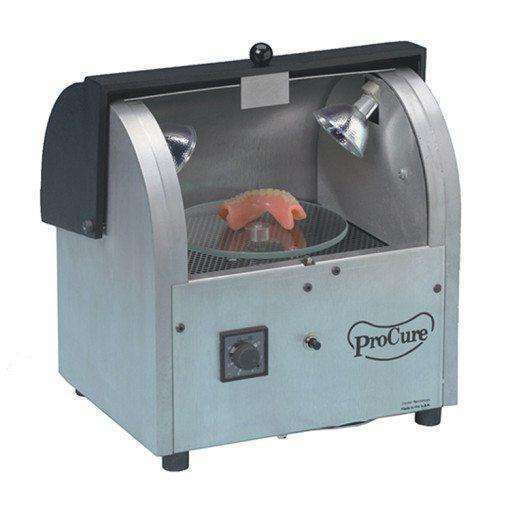 The ProCure 300 Light Oven is an advanced third generation light curing unit that provides superior lighting intensity and excellent depth of cure. 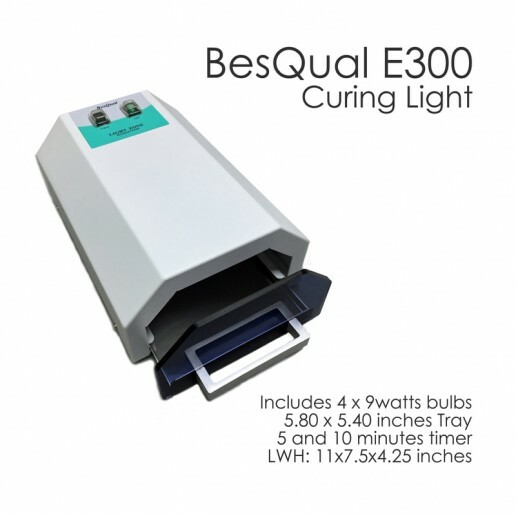 The ProCure 300 has been designed to provide the maximum light intensity without the negative heat buildup. 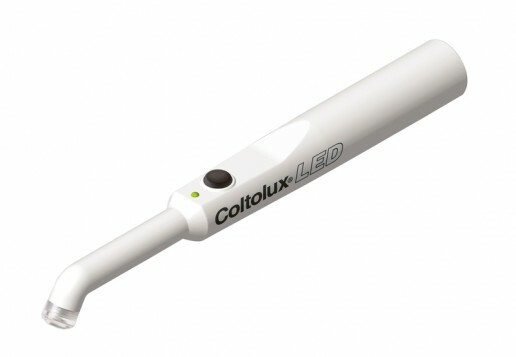 The Coltolux LED combines a slim curing probe with high output in a cordless lightweight pen-style design. The Coltolux LED’s heat sink technology reduces the amount of heat emission and eliminates the need for active cooling. 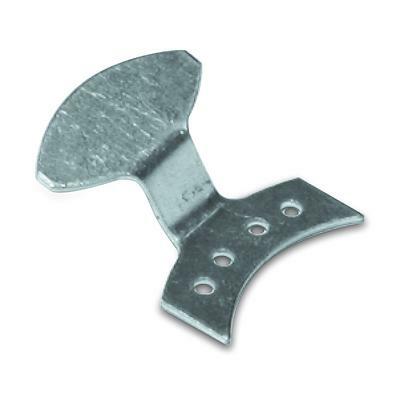 Unique small aluminum handles that can be attached to warm vacuum formed trays. Simple timesaving technique – briefly heat the tray handle in a flame and press into position on the warm tray.